Many people keep rabbits, rodents and ferrets as pets. 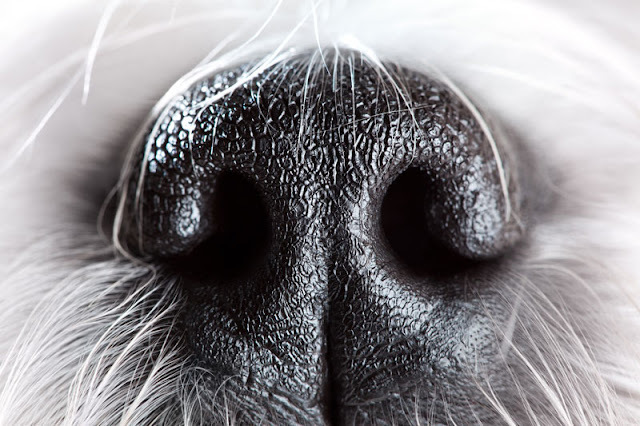 A study published last year by Normando and Galli (Padua University) is the first to investigate the kind of behavioural problems they have and how it affects owners’ feelings of satisfaction with their animals. Participants were recruited via an Italian rabbit forum, the University of Padua, and local veterinary clinics. The survey was completed by 193 people about a total of 371 pets. The pets included 184 rabbits, 59 mustelids (mainly ferrets, but also including two skunks), and 128 rodents (including guinea pigs, hamsters, gerbils, chinchillas, rats and other rodents). Most owners reported no problems, but 29% of rabbit owners, 53% of mustelid owners, and 20% of rodents had a behavioural problem. For rabbits, the most common problems were inappropriate toileting, destructiveness, and not being cuddly enough. 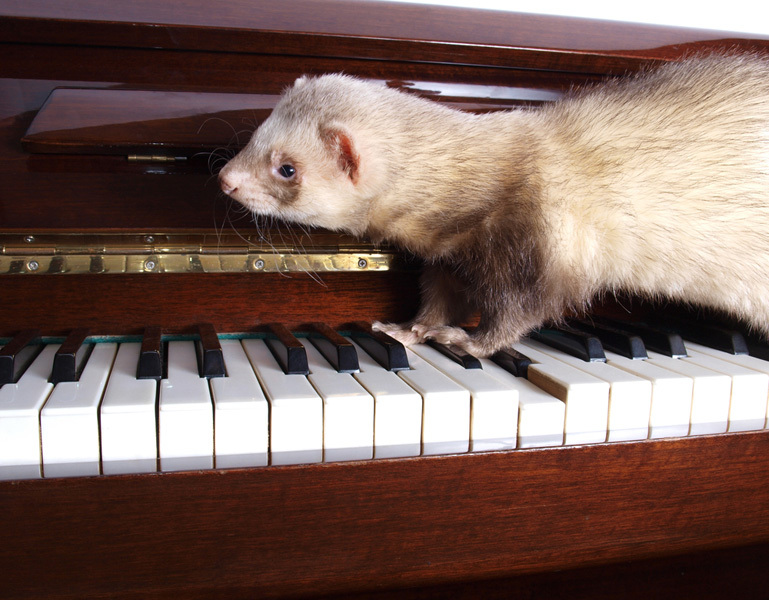 The most common problem with ferrets was being aggressive, followed by house-soiling and disobedience. For rodents, the main problem reported was not being sociable or cuddly enough. The questionnaire also asked about repetitive stereotypies, behaviours like chewing on the cage bars or pacing. Owner reports on this are hard to assess, since some behaviours might be alright up to a certain level, and only be problematic if they occur too frequently; the authors had to exclude a small number of reports. The analysis showed a link between the prevalence of stereotypies and the animal’s housing; pets with less freedom to roam were more likely to be reported as displaying a stereotypy. In addition to the questionnaire, a subset of the animals were brought by their owners to the lab, to see how they behaved during a mock-up of the early stages of a visit to the vet. For the two skunks, the procedure had to be halted because the animal was aggressive, but most of the other animals performed well. It’s interesting that even when the animals had behavioural problems, it did not mean that owners felt dissatisfied with their pet. This suggests the behaviour problems were not severe and did not interfere with the relationship. The owner had been bitten at least once by 96 of the animals, but this did not usually mean that the owner considered the animal to be aggressive. Aggression towards strangers was found significantly more often amongst the mustelids than the rabbits and rodents. Although owners had more complaints about mustelids, they also found them more satisfying as pets. This is perhaps because they are inquisitive and social animals, and so the owners find it more interesting to interact with them. However, it is also possible that people with many complaints would have rehomed their pet, and hence were not in the survey. The finding about stereotypies is consistent with what is known about laboratory animals, and shows the importance of an enriched and appropriate environment for the pet. 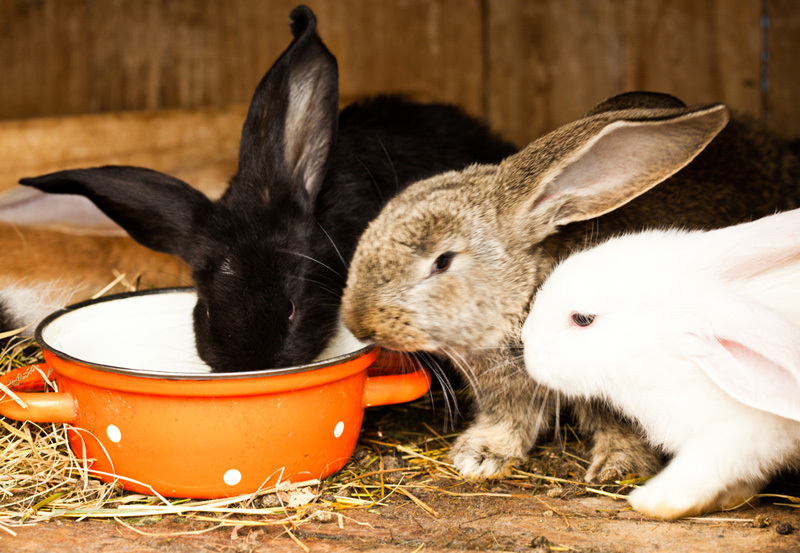 Do you have a rabbit, ferret or rodent as a pet? If so, what do you like about it? You might also like: Taking care of your pet rabbit and what is the best enrichment for your ferret? Using shaping could have helped also, doing it all enought times to where the animal remembers how to act and what to do. Shaping them not to chew on the cage and misbehave. Also shaping their behavior and making them act a certain way. Start using a positive reinforcment on them, and teach them the right way how to act. Animal behavior is hard to control because you cannot verbally communicate with them. The learning behavior of animals is due to continuous reinforcement and shaping. The owner can monitor the conduct of their pets by shaping their behavior into what they want. The owners can then use continuous reinforcement to encourage that behavior. The repetitive stereotypes are a result of improper obedience. The lack of recognition that the animal has limited freedom can cause them to fall under certain stereotypes. As a result, the owners still tolerate these animals; therefore the lack of obedience is not that severe. If people are that annoyed then they could just teach their pet to not do bad things. I have a pet rabbit myself. It isn't that bad if you can teach it to do what you think is right. For instance, my rabbit had a habit of chewing on wood, namely the wood paneling on the wall. I decided I had enough and started to teach it not to chew. I ended up putting it in an enclosed area with wood paneling on one side and its normal food on the other. Every time it went for the food I would appraise it by giving it a treat, namely a carrot or something special. If it went for the wood i would say no and take the wood away for a few seconds and move it. After doing this a few times I just appraised it with kind words and petting and slowly removed the food reward as the days went by. Now it won't chew the wood anymore which makes me happy. Time for some psychology terms to help you learn. When the rabbit went for the food instead of the wood i appraised it and gave it a carrot. This is Positive reinforcement. The negative reinforcement was the taking away of what it wanted to chew and saying no. Aside from all this,I found the article pretty interesting. Sad to see how rabbits aren't considered nice and cuddly pets. The animals that were discussed in this blog post were very similar to the animals our class related to classical conditioning and operant conditioning. Classical conditioning is learning that reatedly occurs until someone learns a new trait. Operant Conditioning is a learning process that changes a trait that someone has. For a classical conditioning example that was used in class, was everytime the boy pushed the easy button he would shoot his roommate with airsoft gun. Eventually his roommate learned each time he heard the noise he would be ready for the attack. The subject is the roommate the nuetral stimulus is the noise the button makes the unconditioned stimulus is getting hit with the airsoft gun and the response is what he said each time he was hit. Whether or not he started to duck and cover when he heard the noise of the button determines if it was a success of not. In operant conditioning it is teaching someone to stop doing something with positive reinforcement or to teach someone to do something with positive reinforcement or negative reinforcement for example teaching a dolphin to do tricks. The dolphin learns that when he or she does a good job and does the trick he or she gets a treat when he or she does not follow the rules negative reinforcement occurs such as punishment. The percentage rate of behavioral problems that occured could very possibly be decreased with operant or classical conditioning. if the animals were taught that when they are socially unacceptable they get a toy in their cage taken away they would have less bahavior problems. If the animals learned that if they have toiletry problems they would as well get something taken away on the positive side of the reinforcement if they went to the bathroom where they are supposed too and they got rewarded for that they would learn that when they do things like that positive reinforcement occurs. While the animals were in an uncomfrotable position at the vet or lab if positive reinforcement would have been occuring less behavior problems would have been occuring as well. Animals are faster learners than people give them credit for and dogs are not the only trainable animals other animals can learn if they do the right thing they get rewarded if they do the wrong thing they get punished. 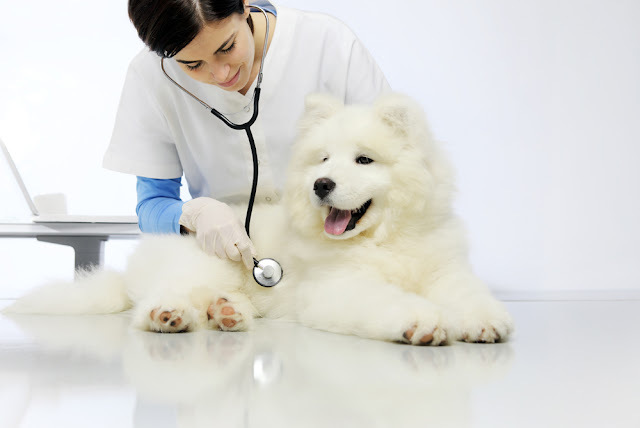 The biting problem that occured when the animals were at the vet or lab needs to be addressed immediately solely because animals will learn that if they bite and do not get punished that they think that it is ok to continue to bite. 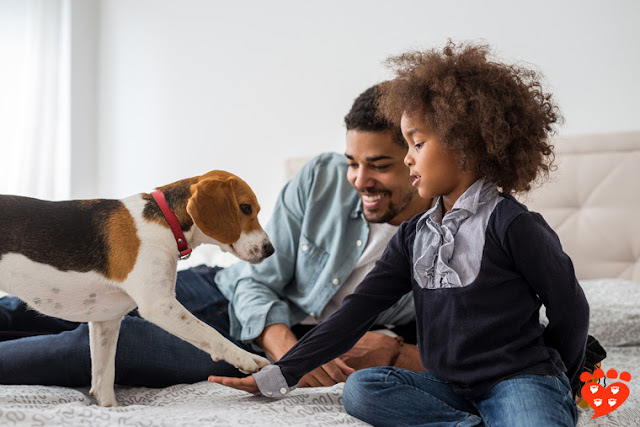 A positive reinforcement for having good behavior such as no biting having good toiletry patterns, not being destructive, and being sociable could be new toys extra treats or favorite food as well as continually telling them good job. A punishment or negative reinforcement could be telling them that is not ok and not getting the treat or getting something taken away. Just like the roommate in the easy button example the animals will learn as well when they do things people dont like they get punished or when they do good things they get rewarded. Ibelieve these behavioral factors in the animals could be the source of reasons of types of reinforcement or instinctive drift. As far as the types of reinforcement used towards the animal (postive or negative) the animal might have more aggression if it is placed in a smaller cage and has less room to roam.The owner might not see this as a type of reinforcement, but instead it is just an unintentional detriment to the animal. As far as instinctive drift goes, this is just the tendancy of an animal reverting back to its instinctive behaviors. This is understandable because all animals are born with instincts (sometimes aggressive) and the brains first natural plan is to follow those instincts reguardless of the situation. This is an interesting post. I wonder if their is a possibility to teach the pets to not do the destructive behaviors like using operant conditioning. When the pets are being destructive, move them to a place that doesnt have anything to destroy. The pets will learn that if they destroy something they will not have anything the next place they are in. Thus the pets will remember not to destroy anything. A possibly reason for these behaviors could be that they were learned from their owners. The article states that the owners thought these misbehaviors made the animals better pets because it seemed like they had personalities. Most likely no punishment or reinforcement was recieved by any animals from the owners in regards to their behaviors. This may explain why they continue to do it. If there was an extra part of research in this study that figured how variables at home might effect the behaviors of the animals then we might be able to conclude if the animals were actually conditioned to exhibit these behaviors or if they are just random acts of disobedience. with the behavior problems in these animals all you really need is operngint conditioning. this conditioning show learning as a process in with behavior is shaped and maintained by conseqences. this would be through punishing the behavior to slowly stop the action. now mind you this will be a process that wont take in the first go around but soon it will learn that the behavior is not exceptable. with the punishment it can be anything that they can relat to the action like taking away a treat or for then losing other privliges that they had. I found it interesting how even though the mustelids were the most social, they had the most aggression towards strangers. I wonder if the ferrets that were kept in their cage more were the ones who bit a stranger more often because it would seem that with them being the more social group, they would react less like one of the stereotypies and be calmer or more easy going. 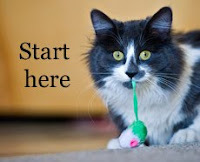 teaching animals to behave is not an easy job,one thing that may help is shaping. shaping is the process in which you are selectively reinforcing good behavior until the goal behavior is reached. this is easy done with food many pets have favorite treats and snacks they enjoy.a quick example would be telling your dog to roll over, the dog rolls over which would also be known as correct operant and then the behavior is positively reinforced with a yummy treat. next time you ask your dog to roll over it will gladly do so because it knows there is a reward for its good behavior. There is actually an argument to suggest that behavioral problems can come from the living considerations a rabbit can live in. If its brought up in cramped cold conditions its bound to be less happy then say in a large hutch with a rabbit hun.